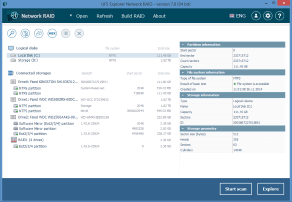 UFS Explorer Network RAID is a software application for data recovery from RAID and other common storages enhanced with a helpful option of distributed data recovery over LAN. This cross-platform utility is installable on Windows, Linux and macOS and is an advantageous solution for various data recovery tasks. With a powerful toolkit and helpful option of distributed data recovery over LAN, the software is a must-have instrument for work with RAID and RAID-based NAS. 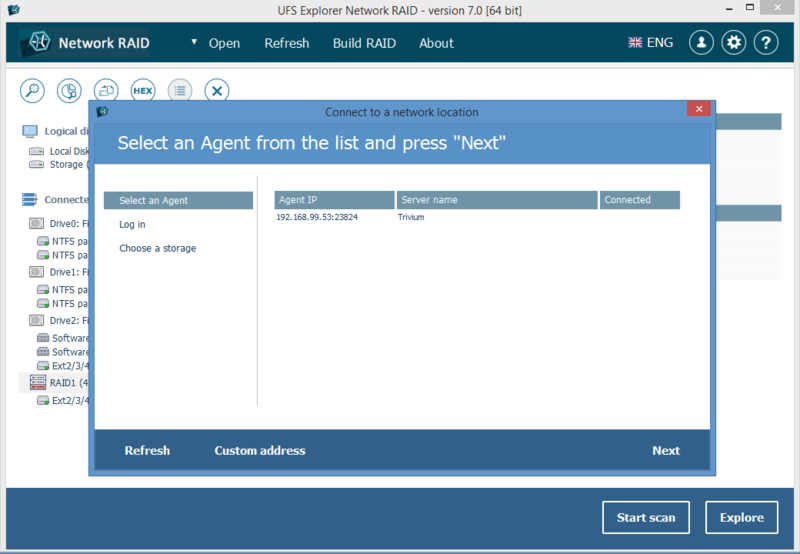 UFS Explorer Network RAID supports popular NAS of such vendors as Buffalo Technology (TeraStation, LinkStation), Synology, QNAP, etc. 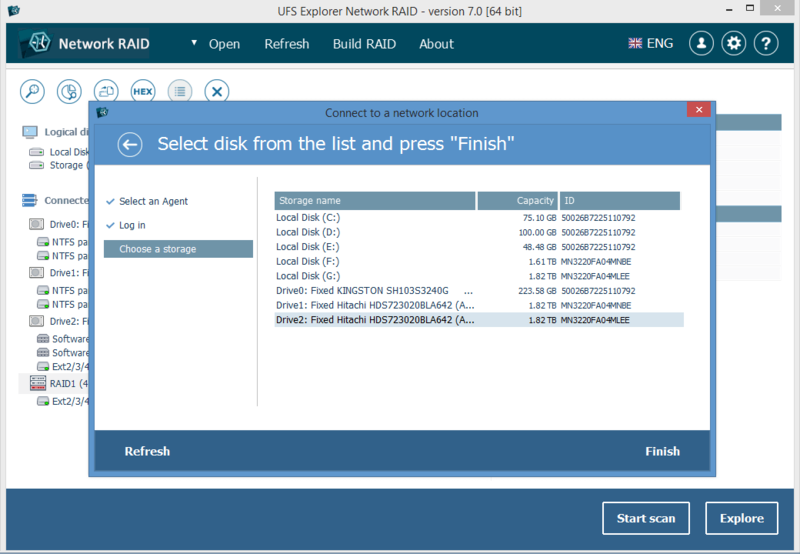 The software automatically detects RAID metadata on NAS drives allowing users to scan the storage and recover data that was lost or deleted from a network-attached storage. 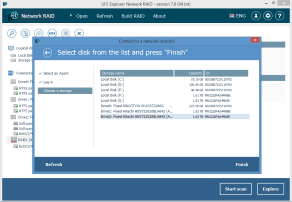 The software includes RAID Builder – an instrument for assembling storages that are based on the RAID technology. The tool allows reconstructing standard RAID levels (RAID 0, RAID 1, RAID 3, RAID 5, RAID 6), JBOD, nested levels (RAID 50 and RAID 60), simple and stripe ZFS volumes as well as custom RAID configurations. The software works with virtual environment as efficiently as with hardware; therefore, assembly of RAID storages from a set of virtual disks and disk image files is also possible. 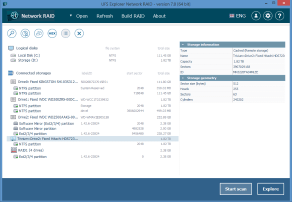 The software features an option of distributed data recovery over a Local Area Network for cases when the RAID components cannot be connected to a PC at once. 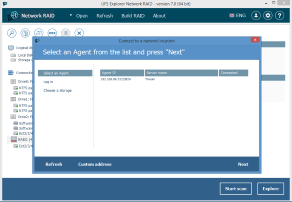 UFS Explorer Network RAID also enables RAID assembly on one host via a Local Area Network making the procedure of data recovery from these storages fast and smooth. The option of “sharing” drives of a RAID system allows providing access over LAN to the RAID managed by a different operating system. Users can recover data from a “shared” drive using two or more computers running on different operating systems simultaneously. The option of drive sharing also allows assembling RAID from a bigger number of drives. 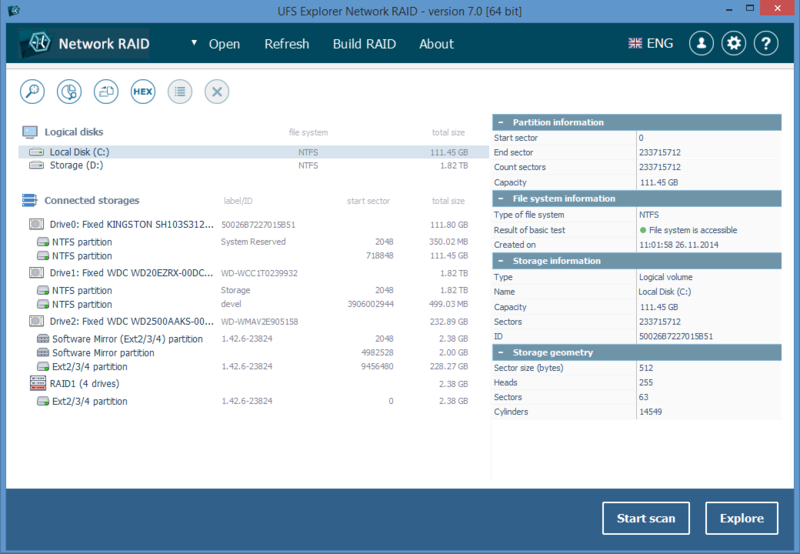 UFS Explorer Network RAID is enhanced with helpful options of previewing the found files of most common formats, like images or documents (including PDF), and sorting them by date, size and name. With the IntelliRAW technology enabled, the software provides the found files in separate file format-specific folders for more convenience. Besides RAID, the software performs data recovery from other common types of storage media, including internal and external hard drives and USB flash drives, virtual disks and disk images. You can apply this full-featured program to any other device if it happens to to come up against the data loss problem. data access, search for lost partitions, data recovery from simple and stripe volumes, deleted files recovery. Distributed data recovery over LAN. * Updated RAID configurations save/restore procedure: - Added support of virtual (VFS) files in RAID configuration; - Custom RAID names are now preserved. * Reworked LVM module for latest LVM2 (with added DM RAID function); * Assignment of LVM names to LVM partitions and logical volumes; * Option of automatic saving of scan state immediately after full scan; * Simplified process of removal of opened storage components; * Regular update to embedded pictures viewer. 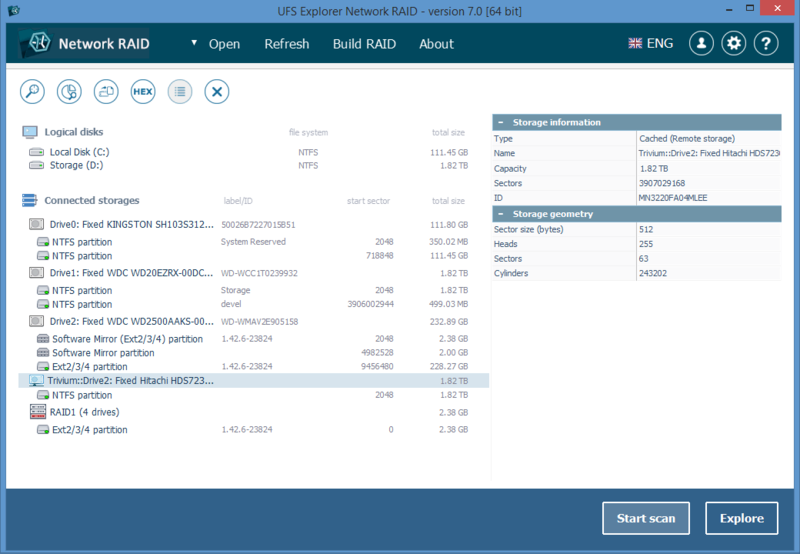 * Added drive context menu to RAID builder; * Fixed bug with adaptive RAID reconstruction; * Added support of old HP-UX LVM; * Added support of R-Studio image file format (RDR-files); * Updated support of Apple DMG files; * macOS: Added placeholder for inaccessible disks; * macOS: Fixed bug reading disks with sector size 4KB. * Added function for distributed data recovery over LAN.